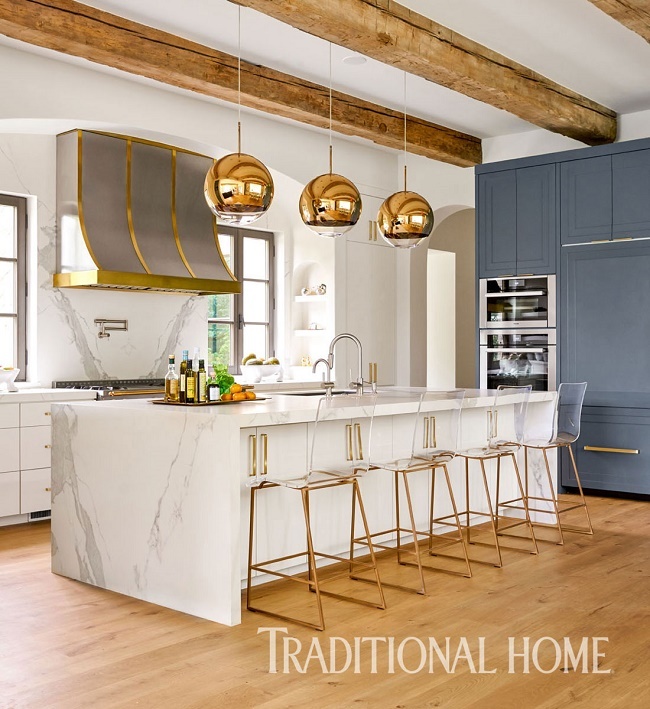 Mix and Chic: Inside a Dallas home with a fresh and glamorous kitchen! 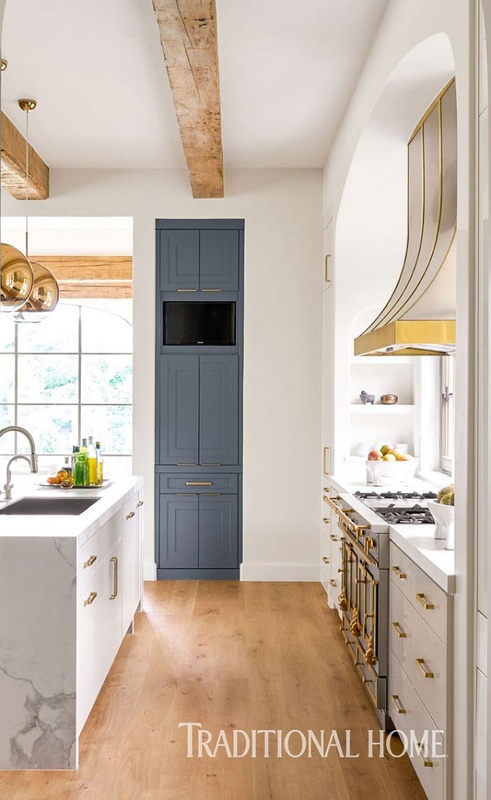 Inside a Dallas home with a fresh and glamorous kitchen! 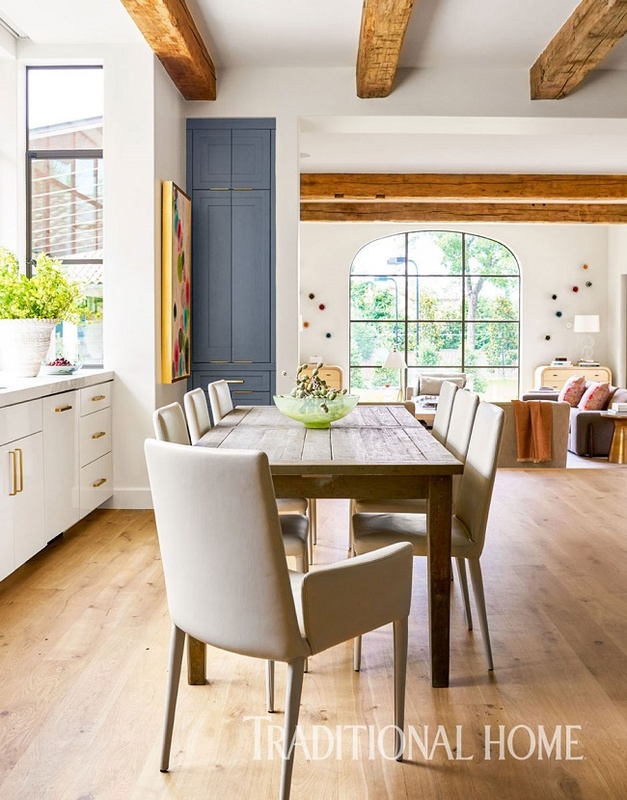 This beautiful home is designed by Morgan Farrow for a Dallas couple with three young children who loves to entertain. Using a photo of glimmering Tom Dixon mirror ball pendants that her client showed her as the starting point, she decided to incorporate the pendant lights to create a bright and contemporary kitchen. The results? An unbelievably chic space! Let's take a look, shall we? That gorgeous kitchen is truly the star in this home, don't you think? Fresh and contemporary with a touch of feminine glam, this light and airy kitchen oozes style and understated luxury. 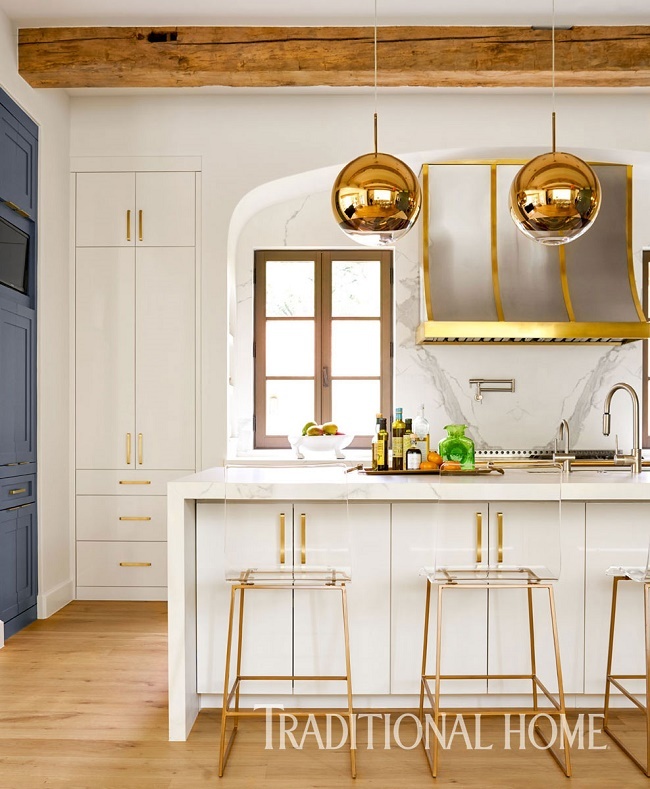 I absolutely love the chic brass pendant lights, the beautiful marble backsplash and island, the striking range hood and the wonderful wood beams. I think I just found my dream kitchen! Are you drawn to this stunning kitchen as much as I do or otherwise? I would love to hear your thoughts!